Holidays make life better as they are always funny and memorable. Also we wait for holidays to get a gift or to give a gift back. On the Christmas Eve or a day before your friend’s birthday party you start looking for a gift. 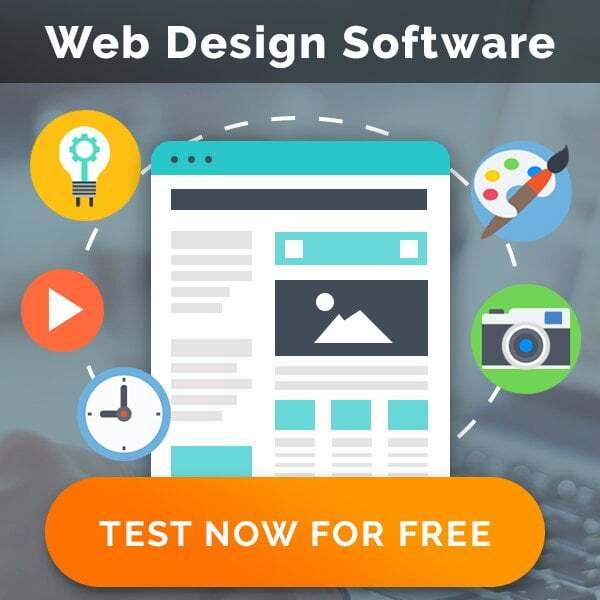 It often becomes a great issue to choose the right present for a creative person like designers, artists, illustrators, and so on. 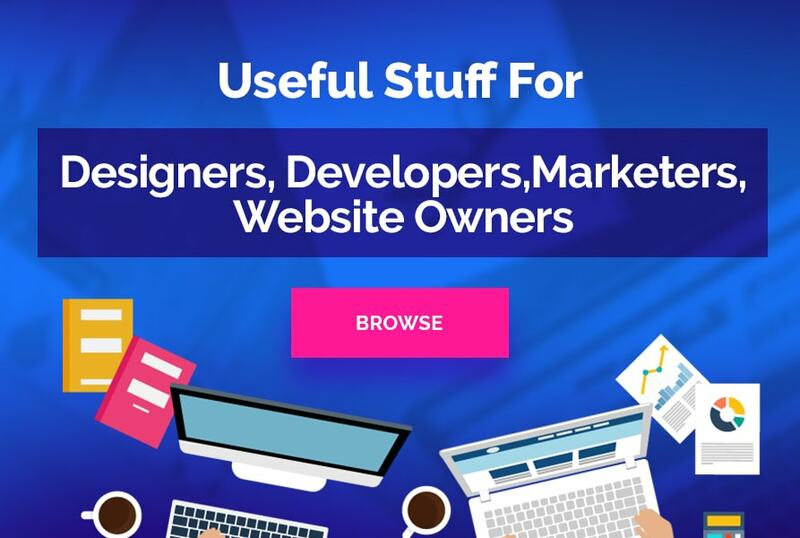 Today I want to share with you a roundup of extremely creative and useful gadgets, which every designer would appreciate by far. 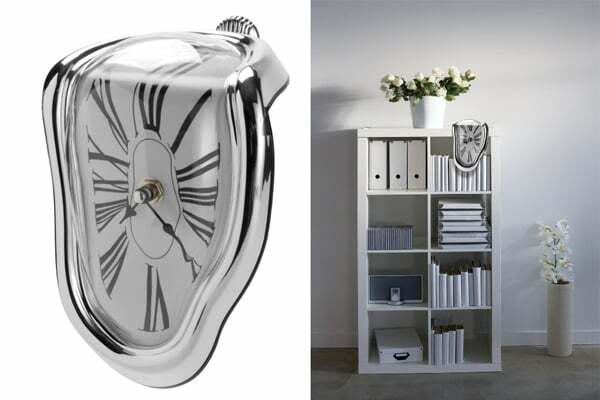 You have an unique opportunity to take the advantages of a white elegant cup for pencils, a melting wall clock from a Dali’s picture and an inspiring sketchbook. I do believe you’d like a case for an iMac in the form of an old style book, a retro Elvis style computer microphone, a bright red ear headphone and an iPad-like paper notebook. Don’t hesitate and choose one gift from this showcase. Every creative person would be more than happy to get such a birthday gift. Your family and friends deserve to get the gifts, which you’d like to receive yourself. If you don’t want to part with a gift, be sure that you have chosen the right one. Made with industrially stamped steel, this vintage pencil cup would be the best garniture for a home or office desk. People always try to create homelike workspace. 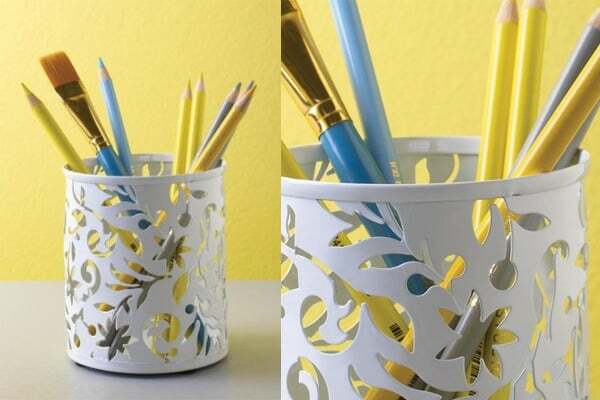 A white pencil cup with an intricate pattern can help you to manage it.Bright pencils and pens will look extremely great in this cup. It could fit for schoolchildren as well as for students. It costs $ 7.15 and just six left in stock, so hurry up! Can you imagine a more creative present for a designer? It seems to run away from a Salvador Dali’s picture. You can put it on the table or closet. This functional melting clock looks like a unique piece of art. All your friends and relatives will be surprised by this unusual wall clock. White and silver colors make it elegant and stylish. Don’t miss this gift for a designer. You can buy it only for $ 11.99. Paper magazines and books are in trend now due to Internet technologies and mobile revolution. There are a lot of large full color images and extremely talented artists’ profiles in this sketchbook. Even the most uncreative person can get a portion of inspiration here. 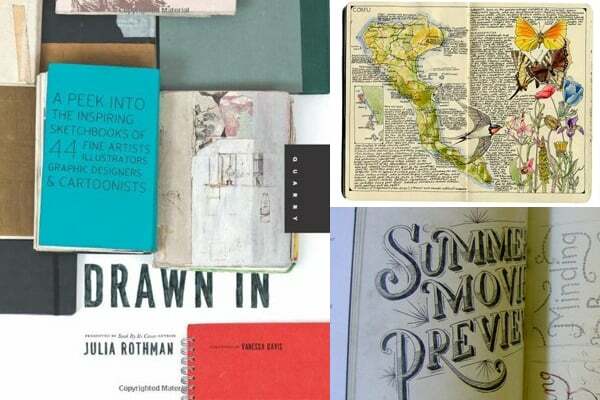 Sketches and other artworks can help a designer to find his own way or just get new ideas. In any case, it’s the best present option. Jessica Hische, Mike Perry, Jen Corace, Matt Leines, Jill Bliss, Camilla Engman, Anders Nilsen and many more artists are waiting for you inside this great book. Buy it for $ 16.49 and bring joy to your friend. Just take a look at this amazing notebook case, which will definitely pick you out the crowd. It looks like an old book and would be pretty a good addition to your collection of books. This case will keep your laptop nice and clean. 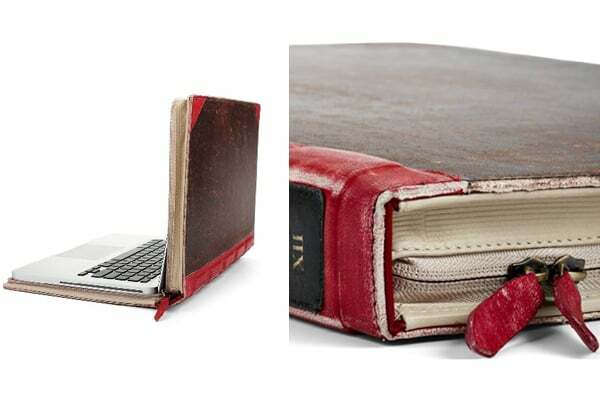 You can take it to the trip or to the nearest coffee café – it will accurately save your notebook from scratches. The most important thing is that the case won’t let your laptop run hot. It could be yours for $ 79.99 only. Your friend imagines himself a star and often sing in the shower preventing neighbors go to sleep, doesn’t he? 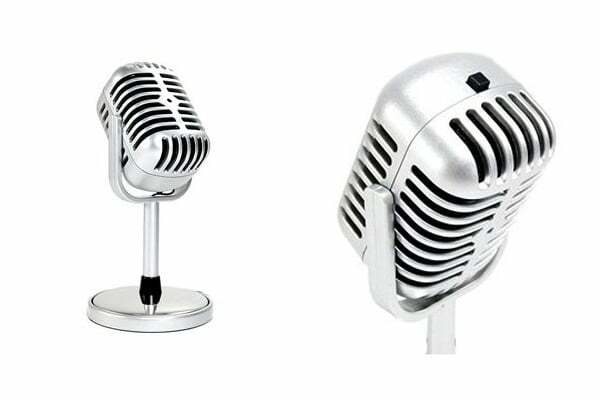 This stunning steel computer microphone in Elvis style would be the best present for him. All creative people are unusual, therefore they need original presents that would highlight their talent. You can buy it for just $ 11.99. No matter when or where you go, your favorite music can follow you anywhere. While working or having rest, music could help you to cheer up or escape from boredom. This extremely bright red over ear headphone is a good and useful present for any creative person. You or your friend can take it for a long walk or use it to listen to the music in the office. 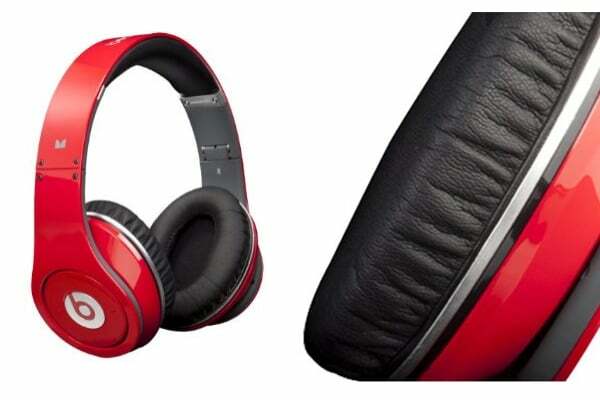 Only nine headphones left in the stock, so try your best not to lose your chance for $ 269.00 only. Stop leaving messages on boring boards or colorful notes on the refrigerator. 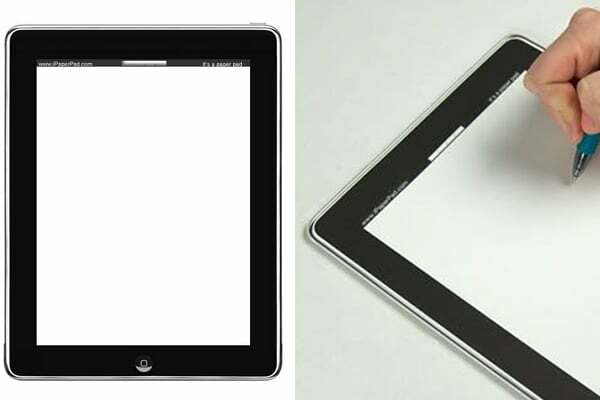 This paper notebook is not an iPad, but still could help you a lot while working. There is no chance that the battery life will end or resolution won’t fit. You’ll get three notepads and 25 sheets per notepad in a pack. Buy it for $ 7.50 and stop forgetting your ideas and appointments, as they would be recorded in the notebook. Hope you like our ideas. Don’t hesitate to share your own thoughts in the comment section below.